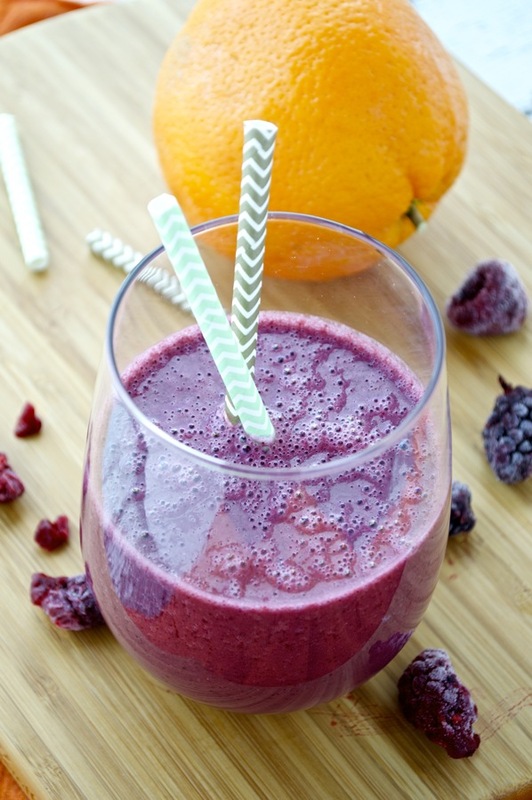 Beat the heat with this refreshing fruit smoothie. Frozen berries combine with fresh orange, ginger, and creamy peanut butter for the ultimate summer smoothie! Remember a few months back when I was raving about Costco’s almond butter? Well, this smoothie was the reason that I went through a whole jar in about 3 weeks. That and eating it by the spoonful. Anyway, every single time I went into Costco I’d see the huge display of Kirkland Almond Butter. Until I ran out and needed it. I’ve said it before that I have a love-hate with Costco, and let me tell you, this trip was a hate. No grass-fed butter to be found, no rotisserie chickens ready, and no almond butter. I’m pretty sure I walked around the whole store 3 times looking for it even though I knew where it should be. I’m pretty sure I teared up a little over this. Yes, I’m aware of how dramatic that sounds, but it was a busy Saturday and the thought of going to another store to buy a small jar of overpriced almond butter was too much for me. So, I settled for the Kirkland Natural Creamy Peanut Butter instead. Now I’ve been making my smoothie with the peanut butter instead of almond butter and it’s just as delicious. It’s also just as delicious by the spoonful incase you were wondering. I love the combination of oranges and berries. 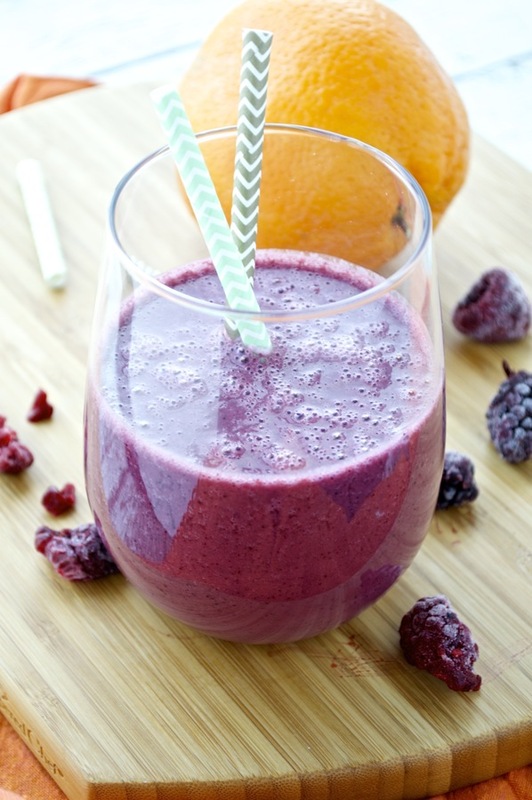 The sweet orange gives the smoothie great flavor and the berries give it such a pretty color. The ginger though, makes this smoothie! If you think you aren’t a fan of fresh ginger give it a try here – it’s just so good! You can start out with the tiniest amount and work your way up from there. I also toss in some apple cider vinegar for a little extra tang and a handful of fresh kale or spinach. You can use whatever your favorite liquid is for smoothies – I tend to alternate between coconut water and almond milk. I love coconut water because it’s so hydrating. It’s perfect for these hot days we have been having! 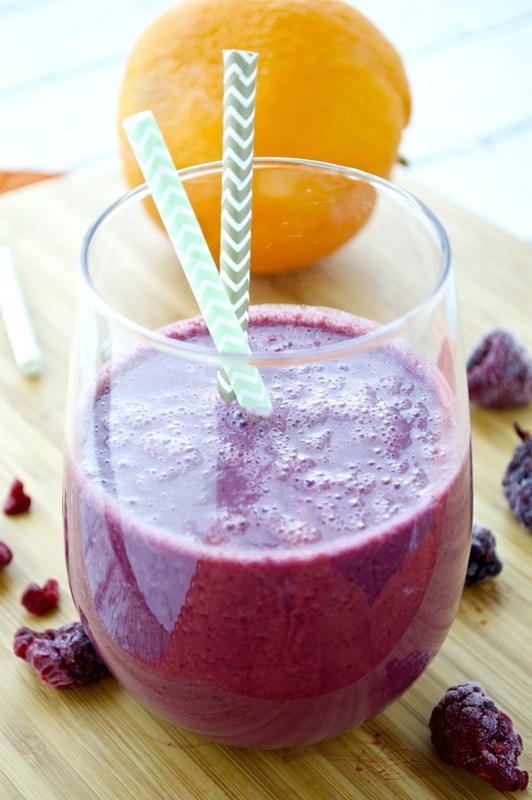 This smoothie is the perfect snack to cool down with by the pool or after a day in the sun! Combine all the ingredients in a high-speed blender and blend on high until smooth. I love how different and unique this smoothie is, Keri! If you are a big smoothie drinker I feel like it’s important to get some unique variety in there. 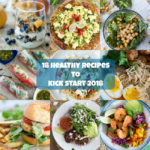 The ginger and apple cider vinegar – love it! I swear every time I go to Costco they rearrange where things are. Almond Milk is the trickiest to find. Sometimes it’s by the coffee, sometimes it’s by the soda, once it was in the back by the dog food! It’s like a scavenger hunt trying to find it. Ha! And I love their almond butter too. This smoothie sounds delicious! Perfect for these hot mornings we have coming up all summer. Thanks Ali! I too have been on a ginger kick – I just can’t get enough! Frozen berries looks so pretty. You’re right this is an ultimate summer smoothie that I will be adding to my smoothie rotation. 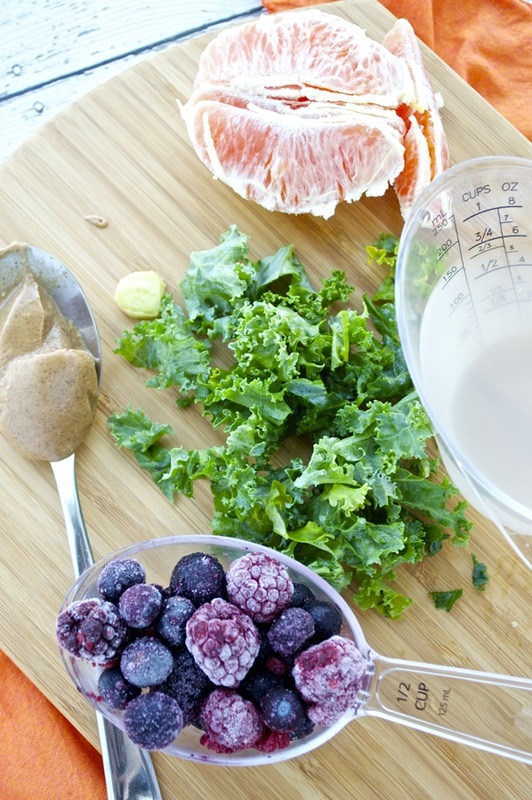 Love the flavors of this smoothie, Keri! I’ve never tried ginger in smoothies before. This sounds incredible! I am a big smoothie fan! 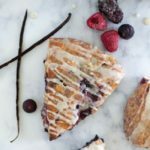 I love that you used almond butter! I always buy the big one from Costco too! Love that stuff! Oh.My.Gawwwww- Keri! This smoothie is like a revelation of sheer freakin’ genius! I LOVE ginger and I would have NEVER (in a million years) thought of combining it with peanut butter! I’m swooning over here! I have GOT to try this!! I bow down to your creativeness! And your photography.. I am drooling! This smoothie is so gorgeous and your photos are so bright and beautiful. I literally wish I could reach into the computer screen and pull one of these out and slurp slurp slluuurrrrppppp! Can’t wait to try this! Cheers girlie, and thanks for sharing! Such a gorgeous color girl!! Love this! 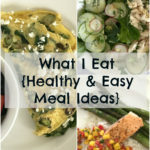 This sounds so great Keri! I love smoothies but I’m in a bit of a rut- adding ginger is genius!